I wrote these tasting notes without knowing exactly what I was drinking but I inferred whence came the aforementioned sample from the 45.8% ABV written on the label. That oddly specific number is a dead giveaway of the malt's provenance: Talisker. So while this wasn't a total blind tasting, I didn't know which Talisker expression it was. I was fairly certain I'd enjoy it, because I've never met a Talisker I didn't appreciate. Nose (undiluted): the Talisker peat and smoke are there, but it is not the lead player in this orchestra. Lots of fruitiness right up front. Plums, cherries, red licorice, balsamic vinegar, and a very slight menthol note. Palate (undiluted): very soft arrival, more red fruit, developing to dry peat smoke (think burning leaves), and a little minerality. Finish: medium length, dry smoke at first, with a cherry Halls (cough lozenge) flavour lingering. It's more enjoyable than it sounds. With water added, there's a floral or herbal note that pops up, fresh thyme maybe. A bit of honey. The peat smoke is still there with water, but the fruitiness changes. It tastes more like pears, and maybe a touch of orange. With water, the chalky minerality that defines Talisker for me is more evident. I prefer this with water. I have to admit, the 10 Year Old Talisker is more my style. Perhaps I'm curmudgeonly, but I prefer my Talisker with less fruitiness and more pepper, brine, smoke, and wet slate. The fruitiness of the nose and taste lead me to guess this was a wine-finished Talisker; Distillers Edition or maybe Port Ruighe. My friend informed me I was wrong on both counts. The sample was from a bottle only available, insofar as I know, in Duty Free shops. So what did I expect from a whisky called "Dark Storm"? Well, I would have thought Dark Storm implied Cask Strength whisky, deep fruit notes throughout, a crescendo of brine, a backhanded slap of peat smoke, a real whirlwind of flavours fighting for dominance. But herein lies the rub: I found this whisky milder and tamer than the standard Talisker 10 Year Old. Don't get me wrong: Dark Storm is a pleasurable sipper but I would not have named it "Dark Storm". It's more akin to an ocean-side sunset. I guess that name doesn't sell as bold a tale. The name Dark Storm projects an image of Jack Sparrow drinking his fill (since the rum is always gone), possibly using some of the whisky as a disinfectant in a pinch (if it were bottled at Cask Strength), all while sailing the Black Pearl through a hurricane. The flavour profile delivers a different, albeit satisfying, experience. Nevertheless, I'd advise you to try before you buy. I believe my friend paid $90 for a 1 litre bottle. I'd probably pull the trigger at that price. A fair summary. From the sample I tried from a friends bottle I too prefer the standard 10. Give me the pepper and brine any day, I found this too subdued for my liking considering it's supposed to be aged in heavily charred casks. Interesting how much fruit you picked up in this too - the bottle I sampled just seemed a little flat and lacking. @Hewie I was surprised as well. It was a satisfying dram, just not what I would have expected from a malt named “Dark Storm”. I’m glad I tasted it without knowing what it was. I may not have enjoyed it as much if I had read the description of the whisky. Perception is a funny thing. 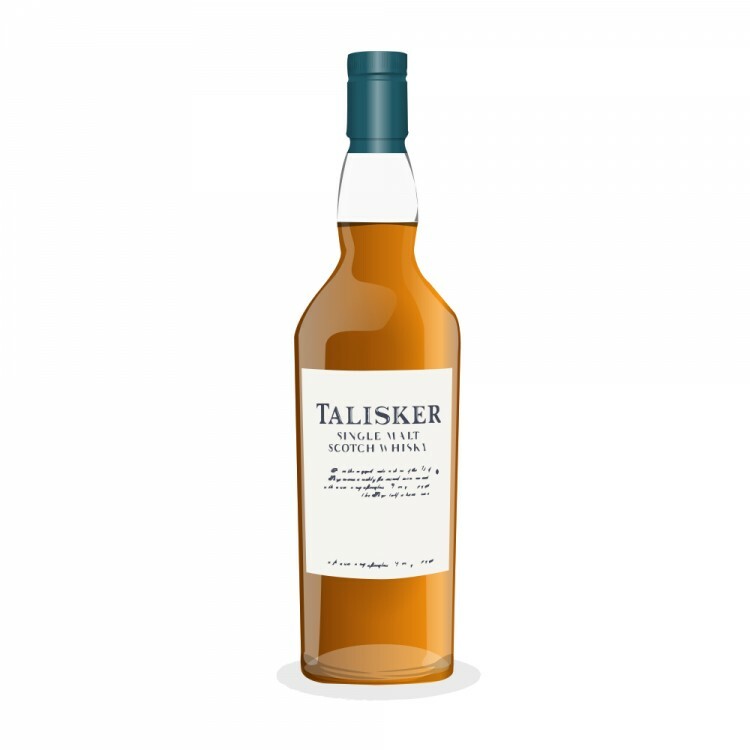 @OdysseusUnbound sorry to patronise you if you already know the answer but do you know why talisker bottle at 45.8%? There is a tradition in the scotch whisky industry that whisky should be bottled at UK 80 proof which converts to 46% abv as the nearest whole number. 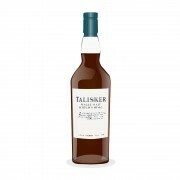 But its actually more specifically 45.8% so that's why Talisker is bottled at that abv. 5 months ago 4Who liked this? @Wierdo, hmmm. So Talisker cannot do arithmetic. 57.15 ABV x .80 = 45.72% ABV. 45.7 % ABV is clearly much closer to exactly 80 imperial proof than is 45.8% ABV. If they wanted to give more than full measure, they could have gone the way of almost all of the others and just rounded up to 46% ABV,...a convention which just takes a nod to an old irrational tradition and splits the difference with logical thinking. With that ABV on the label, it might as well have said "from a mystery distillery on Skye." I had a couple of drams of this from a friends bottle and it was enjoyable just not as familiarly satisfying as the 10 yr old, I don't remember as much fruitiness, I strangely remember it being a little more medicinal than the 10 as well. @OdysseusUnbound as you said so eloquently "perception is a funny thing" this came after my friend mention it was like a Talisker playing in a Lagavulin cover band, perhaps the drams had caught up at that point. @OdysseusUnbound - Thanks for the review. Not a Talisker I've ever been desperate to try and your review pretty much confirms suspicions. As ever though, I'd be more than happy to try a sample . . . just to be sure. By the power of Grayskull, this was a good review.